Transporting your family around in busy traffic can be a real challenge. You have to worry about all the factors that come into play that affect your driving. Once you’re out on the road, you run the risk of getting caught up in an accident or causing one. But, while you’re out there, here are some things you can do to keep yourself safe while driving and keep your family safe. Make sure all of your blinkers and turn signals work. It only takes a few seconds to perform a simple walk around and check to see if all of these lights work. Brake lights, head lights, and others should get checked from time to time to make sure they’re in working order. As you drive, obey all traffic signs. Ignoring signs can cause dangerous accidents. And, as you drive, practice defensive driving. Keep a safe distance away from other drivers to keep your family safe. 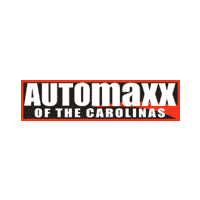 If you think you need to look for a different more reliable vehicle, come see us at Automaxx of the Carolinas in Summerville, SC, where we have a boundless selection of Pre-Owned vehicles that you can choose from.